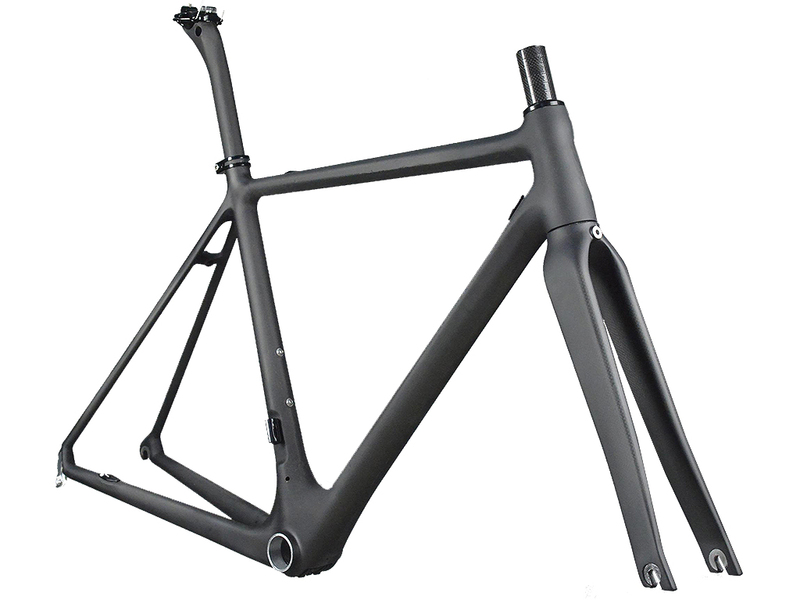 The QS4 is a frame designed for the competitive cyclist. Its carbon monocoque construction uses Toray T700 high modulus carbon fiber with a uni-directional (UD) outer layer. Its well-balanced stiffness-to-weight ratio and frame geometry make for a responsive bike for sprinting and accelerating, allowing you to have total control of the bike at high speed. State-of-the-art features include internal cable routing, BB86 bottom bracket and asymmetric head tube. Price is for frame, fork and seatpost only.